MPR recycles industrial waste for our clients and returns a high yield of clean, usable raw materials. 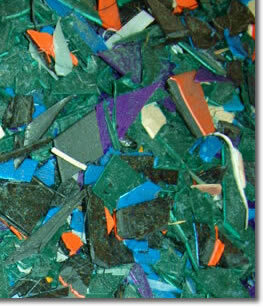 Reclaimed material can be returned as clean ready-to-use regrind or pellets. Call us for a consultation on your polymer waste problem. We can provide economic analysis to determine the value and develop a custom plan for recovery.